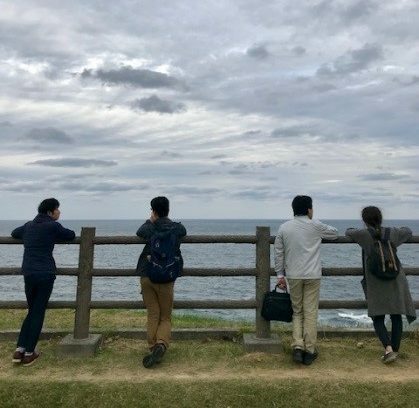 PhD student Chisaki Fukushima talks about her experience of working for the Cultural Models of Nature project, and highlights key concepts from this that she will use in her doctoral research. 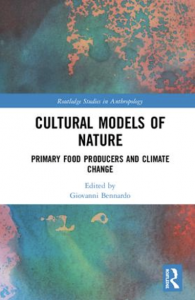 Cultural Models of Nature (CMN), a project funded by the U.S. National Sciences Foundation between 2011 and 2016, endeavoured to understand the cultural models of primary food producers around the world – their collective mental systems and processes as well as models of knowledge transfer and use. Findings from the project have now been summarised in a book of the same name, to which my mentor Dr. Hidetada Shimizu and I contributed a chapter. A key goal of the project was to compare CMNs on a global scale, particularly in terms of climate change. All project collaborators who contributed to the book report that primary food producers are struggling with the effects of climate change. These producers perceived it to be affecting their livelihoods in different ways. Sometimes its impacts were direct, such as changes in weather patterns, temperature and storms (including flooding), and sea level rises. Other times they were more indirect, for example market price turmoil – a result of equipment or oil price fluctuations and political manipulation. In complex economic and political systems, primary food producers struggle to understand not only what happens in these systems, but how to cope with the issues present. Nature (with a lowercase ‘n’) – defined in this project as natural objects, environments and others — is the longest and strongest relationship for humans. Scientists and philosophers learn about nature from a careful examination of people’s livelihoods and subsistence patterns as there is always a relationship between cultural ideas of Nature (with an uppercase ‘N’) and any group dependent on nature for their livelihood ( i.e. all humans). The natural environment we see has already been permanently changed by humans. Human-aggravated disasters are affecting not only current, but also future generations. Therefore, we must focus on learning what humans know and understand to help them adapt to this new, harsher reality. The CMN scholars in this volume seek to understand decision making through clear and consistent mental models shared across a group, while also reflecting on cognitive models of the world. Specifically, ethnographers involved in this collection reject the notion that primary food producers are a ‘problem’ of irrational thinking and instead see their decision making as logical. This addresses profound epistemological questions about what we can know about others. CMN tells us to open our eyes and look at the available evidence from people’s existence and livelihoods through discourse analysis, observation, and experimental data production and analysis. The different sites generated data from mixed and inter-subjective cultural analysis, borrowing from psychology and anthropology in order to produce data about primary food producers’ knowledge. This approach assumes there is an isomorphism, or similar process to do with what people say and what they know. This knowledge system recognizes cognition as central to individual decision making and attempts to formally describe what people know and the relationship between elements of their knowledge, or ‘folk knowledge’. In the chapter I co-authored with Hidetada Shimizu, we introduced two key concepts that are integral to local cultural models of nature. A study of Japanese farmers found particularly high salience (or importance) of Human Relationships in those two narratives regarding risk supported by more than two analyses. Japanese farmers experienced the Green Revolution in the 1950s and 1960s along with the post-war social infrastructure such as land consolidation and technological development. They are well educated and knowledgeable, use modern technology, and enjoy an independent middle-level income that relies on robust management skills. However, their collective peasant value of ‘Hyaku-sho’ community structure is still critical to their production and is very similar to what it was twenty years ago. It is therefore not only the nature of each agent that is important but also the relationships between agents. Social networks are particularly critical for managing risks from labour shortages, market price fluctuations, succession of the family business and coping with climate change. For the primary food producers included in the study, their success strategy emphasised overcoming risk, threats, and eliminating elements that might negatively affect their products. The entity which we can understand as ‘social relation’ almost appears to be one social organism – a kind of human eusociality. The other narrative articulates the idea that crops are not just ‘products’, but are provided by the mercy of a holy nature and are a personified risk. This came through in a detailed study of the use of metaphor and semantic causal analysis. For example, farmers claim that they cannot control what nature does to them since nature is like humans, who make mistakes, and humans themselves are part of nature. Nature is personified both as something that can provide things, as well as a systemic relationship of components that includes people. It is possible that this is a result of the fusion of secular Buddhism and indigenous animism, but at present, we lack the evidence to make such a claim. It is, nevertheless, something I would like to explore in the future. These two narratives are echoed across other sites in the project, and it is fascinating to see the differences and similarities between them. These may be the result of different environments, cultural histories, religions, economic policies, citizenship or, more likely, a complex interaction of all of these and other factors. The two narratives that we focus on in our chapter see risk as one of the attributes of nature, but humans as the ones who experience the consequences of that risk. Since humans face the consequences, they are responsible for managing risk. Successful risk management allows people to find Ikigai (the purpose/value of life) through a belief in surviving difficulties like economic crisis, climate change and natural disasters. The work I did for Cultural Models of Nature with my mentor, Dr Hidetada Shimizu, was rewarding and profoundly inspiring. I am now continuing this work in my doctoral research, titled ‘Cultural Models of Risk’. I will extend the work I did with Dr. Shimizu to understand belief systems and cultural perceptions of the risk of radiation in food and in a nuclear host community. The original data belongs to Dr Hidetada Shimizu (Northern Illinois University). A report released earlier this week by CRE’s Carmen Hubbard provides a detailed analysis of how the UK agriculture may be affected by Brexit. Working with colleagues from the Scottish Rural College, Agri-food & Biosciences Institute and a range of stakeholders, the report looks at all aspects of agriculture across all parts of the UK. The research shows that under selected trade scenarios the impact of Brexit on UK agriculture will be far from uniform. The trade scenario effects depend on the net trade position, and/or world prices. Under a Free Trade Agreement (FTA) with the EU, agricultural impacts are relatively modest. By contrast, unilateral removal of import tariffs (UTL) has significant negative impacts on prices, production and incomes. Adoption of the current EU’s WTO tariff schedule for all imports (including those from the EU) favours net importer sectors (e.g., dairy) and harms net exporter sectors (e.g., sheep). This blog originally appeared on the Northern Rural Network Site, written by Paul Cowie. Academia, policy and practice – How can we ensure our research findings make a difference? Adrienne Attorp and Beth Clark summarise what they learned about policy making from Professor David Freshwater during his recent visit to the CRE. According to Professor Freshwater, policy is the biggest threat to agriculture because it is in a constant state of flux. This observation could not be timelier for a UK-based audience given the imminent arrival of Brexit and the looming threat of a ‘no deal’ exit, or a last-minute announcement of tariffs. Brexit aside, given the short-term focus of politicians that accompanies short stints in power and party changes, and the lack of overall strategy, it is not surprising to find that this makes longer-term planning difficult for farmers. We also discussed the structure of farming and farm income, with farm support moving away from direct payments in a number of instances towards a more risk management-based approach. This reflects a need to change the approach to payments as a country and its economy develop. Related to this, Professor Freshwater highlighted the need for diversification, citing off-farm income sources as a means of risk mitigation. While some would portray this as a negative narrative as it suggests the farm is not a profitable entity without a separate source of income, Professor Freshwater offered a different perspective, arguing that a portfolio of uncorrelated income sources can in fact provide more resilience in an ever-changing climate. He pointed out that most households are multi-income, so why not farming households also? “If you want to change policy, you have to talk to politicians”, Professor Freshwater told us. He also underscored that in order to influence policy effectively, researchers must “be immersed in the politics of [their] time”. Why? Because it is essential to understand both the context in which policymakers are working and the agendas they have, in order that research can fit into this context and align with current political values. This does not mean ‘selling out’, so to speak, it just means it is important to think about how you frame the problem and potential solutions, so as to make the most impact. Audience matters. In addition, Professor Freshwater highlighted that policy can struggle with the unique. Generalizable findings and recommendations are much more suited to political interests. Thus, it is important to consider the smallest number of variations a policy may have while still being effective. He also stressed the need to ensure that any policy suggestions are both cost and outcome effective. Further, similar to the pressures farmers contend with, the time constraints faced by policymakers make implementing long-term change difficult. With changes to political parties happening every four-to-five years or less, planning in two-year periods is often more feasible, with short-term recommendations more likely to be implemented. Anecdotes and stories make policy impacts real, we learned. In policymaking, this is where qualitative research comes into its own. These anecdotes and stories should form part of your overall narrative on a subject, but crucially, we must always back them up with statistics. Furthermore, once you have your narrative, stick to it. Never contradict yourself! And finally, Professor Freshwater made a plug for theory, emphasising that, by approaching research from a theoretical perspective, researchers can be deductive, as well as uniform in their approach to comparing and evaluating different policy alternatives. This subsequently provides rigour to their work. Many thanks to Professor Freshwater for helping the CRE’s early career researchers expand their research arsenal. Watch out policy world! 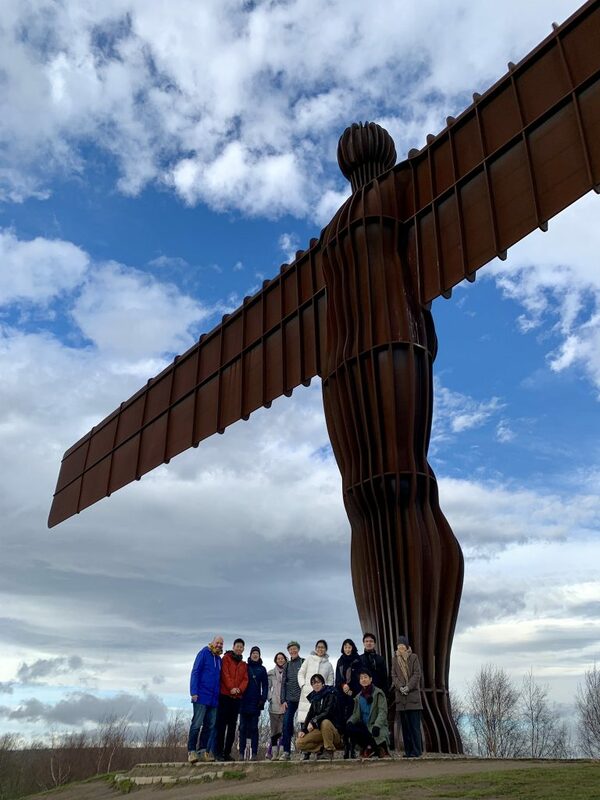 Frances Rowe writes about an exciting new cultural collaboration between Newcastle University and the University of Tokyo. A unique experiment in cultural collaboration and exchange began last week with the launch event of the Contemporary Arts in Rural Development project. Conceived and led by Dr Menelaos Gkartzios of the Centre for Rural Economy, along with Dean of Culture and the Creative Arts Prof Vee Pollock, both at Newcastle University, and Associate Professors Hironori Yagi and Nanami Toishi of the University of Tokyo. Financial support comes from the University’s Institute for Creative Arts Practice, and the project is backed by both the Economic and Social, and Arts and Humanities Research Councils in the UK. The project brings together academics and arts practitioners to explore the intersection between the arts and rural development in both countries. The aim is to enable each to learn from the other with exciting possibilities for cross-fertilization of ideas and potential projects. Eager to share perspectives and experience, participants from across different disciplines and practices entered into the spirit of working across boundaries from the outset. The first two days encompassed a broad canvas of discovery and knowledge that was consolidated on the last day through a field trip to Berwick upon Tweed in rural Northumberland, hosted by James Lowther of Berwick Visual Arts and partner organisation in CRE’s artist in residency programme. Interdisciplinarity may be in vogue but making it work is a different matter. Often working across disciplines throws up challenges of conflicting knowledges and ways of knowing, and cries out for a common language or at least the need for translation. For me the lightbulb moment happened when Dr Julie Crawshaw talked about practices. The rich array of presentations and conversations took us on a journey from the human: nature relations of contemporary philosophical practice, and the place of farming and landscape in the cultural imaginaries of both Japan and the UK (although these are different), to contemporary arts practices in the countryside as a broad response to landscape and place, to rural development as a set of practices working with and beyond art: taking the aesthetic responses of artists and turning them into opportunities for rural regeneration. The case of the Echigo-Tsumari Art Triennale in the south east of Japan illustrates the journey of practice. This arts festival – think an equivalent to the Venice Biennale – is held every three years and is the largest arts festival in Japan and the largest oudoor art festival in the world. Started by a cultural entrepreneur motivated by an ethos of sustainability, it attracts international artists of standing to respond to the issues of the Niigata Prefecture. The issues are familiar: an ageing population farms the land while young people have deserted the countryside for better opportunities and the buzz of the city, leaving rural communities struggling to remain viable in the face of limited services and a dwindling workforce. The result is seen in abandoned farms and farmsteads, closed schools, derelict municipal buildings and disappearing services. Many of these changes are structural and global, so how can contemporary art make any inroad into such intractable forces? We learned the answer lies partly in local capacity to take the cultural value produced by the Triennale and convert it into something more lasting. To do so requires a translator in the system, in this case the NPO (non-profit organisation) Echigo-Tsumari Satoyama Collaborative Organisation. We heard from Tadahiro Asai first-hand how this happens on the ground. The artworks commissioned from the artists invited to participate in the Triennale are usually temporary. However, some pieces have been retained in the local community and have become visitor attractions in their own right, such as the extraordinarily vibrant Museum of the Picture Book that attracts visitors from all over Japan. Not only does the NPO maintain the permanent artworks as a visitor attraction, but it works with the artists to engage local communities in the making of the art for the festival, and in the years in between, building their capacity to engage with visitors, who reflect back to the community some of the history and tradition it has lost. The result is a regaining of community pride partly through recognition from outside of the value of their lives and landscapes, but also the practical embodiment of doing that helps give communities the tools for regeneration. The result is that a pervasive sense of hopelessness is being replaced by a feeling that ‘something else is possible’ – as discussed also by Dr Menelaos Gkartzios in the case of another art festival in remote rural Japan, the Oku-Noto Triennale. Thinking in this way about practices provides a sort of conceptual Esperanto for interdisciplinarity, and I was struck by how different actors acted as translators at each juncture in the journey of practices. And because of the gathering of different kinds of expertise, with participants committed to sharing and interacting with one another, we were doing interdisciplinary without it seeming a burden. I could go on at length about the richness of the week’s interactions. Suffice to say that through collaboration, our developing partnership believes that something else is possible. I should personally like to thank the Japanese visitors, and all who came to the three days of this extended seminar, including artists, curators, academics and other practitioners, for generously sharing their perspectives and expertise, for being such engaging company and demonstrating a spirit of openness and willingness to share that makes the future of this project potentially powerful and exciting. I simply can’t wait for the next instalment when we return to Japan in May! 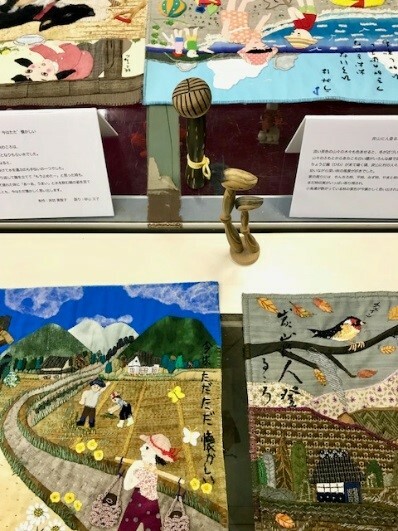 The CRE’s Dr Menelaos Gkartzios writes here about the Japanese take on “art in the countryside”, which he experienced first-hand last year during a 5 month stay in the country, and about exciting new opportunities made possible by the newly announced ESRC-AHRC UK-Japan Social Sciences, Arts and Humanities Connections Grant. What does art do? And what happens if you take artistic practice outside the museum, the art gallery, the cultural quarter, the metropolis itself? I have been working on these questions for a couple of years now, mainly through the collaborative art residency that we run between the University’s Centre for Rural Economy and Berwick Visual Arts. This has offered a rich context to explore notions not only of engaged arts practice, but also of artistic research. A special section for the academic journal Sociologia Ruralis on ‘art in the country’ is forthcoming, edited along with Dr Julie Crawshaw (Northumbria University) and Dr Marie Mahon (National University of Ireland, Galway). There seems to be an increased interest in the rural social world in established art venues; for example the Whitechapel Gallery has been running an exciting session on ‘The Rural’, and Guggenheim has already announced the ‘Countryside: the Future of the World’ exhibition). Meanwhile, in the far Far East, contemporary art is taking place in the countryside. Last year I was given the opportunity to do fieldwork in rural Japan as part of a visiting associate professorship post at the University of Tokyo. 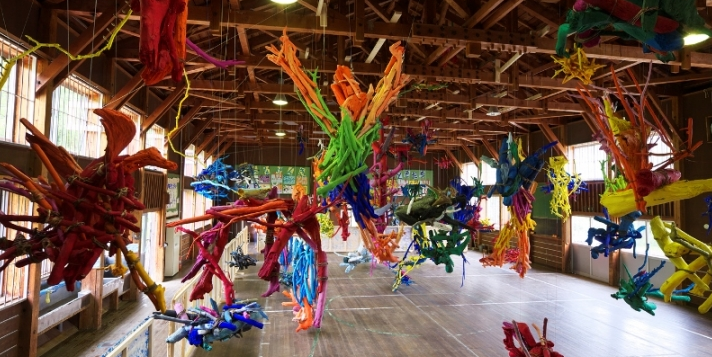 I came across a tradition of significant contemporary art festivals in the most remote and depopulated locations of rural Japan – many of them led by the Tokyo-based Art Front Gallery, following the vision of its director, Fram Kitagawa, who has received praise for his contributions in this field. It was fascinating to observe how some Japanese art professionals even dismissed the very idea of the art experience in museums and formal art spaces as ‘western’. Of course art is abundant in Japan – it’s a philosophy that enters the everyday: from arranging flowers, to serving tea, from separating the public and the private social spheres in performative ways, to writing Japanese syllables and Chinese ideograms. The most prolific of these art festivals has been the Echigo Tsumari Art Trienalle which takes place place in a disadvantaged mountainous area, but my fieldwork took place at the very first edition of the Oku-Noto Trienalle, also organised by Art Front Gallery, which coincided with my 5 month stay. Fieldwork included an ethnographic diary while attending the festival and visiting the artworks via structured bus guided tours, as well as in-depth interviews with visitors, curators and other art professionals, local policy makers and local community groups involved in the art-making. I would have never been able to do this work had it not been for my colleagues in Japan supporting this endeavour – particularly Dr Hironori Yagi and his students. We were a group, so important in Japanese culture. The festival was so successful that it was difficult to find accommodation, so we stayed in a Buddhist temple instead – think of it: tatami rooms, low lights, emptiness. There was art even there. As I am going through my field notes of the festival, I read numerous stories about re-using abandoned buildings important for the rural community. At a closed school we rang the bells loud; a closed bath house – central in Japan’s social life – was filled with foam and people again. Nature is never to be underestimated in Japan and that was also evidenced in the artworks – some of them were actually destroyed because of typhoons. But nature was equally never glorified. Engaged artistic practice was abundant and residents talked with pride and strong emotions about being involved in the festival. And then there were the odd stories, the almost insignificant connections that the art festival made, that really mattered: getting lost and being looked after while cycling at night to view light installations; making friends. I am extremely excited to say that this is only the beginning. We will explore further this adventure of art in the countryside across Japan and the UK. Our collaboration has just received funding from the newly announced ESRC-AHRC UK-Japan Social Sciences, Arts and Humanities Connections Grant. I am delighted to lead, with our University Dean of Culture and the Creative Arts, Professor Vee Pollock, a new research network with the University of Tokyo, Art Front Gallery and our established collaborators in the wider region, Berwick Visual Arts and Scotland’s Stove Network. The research network aims to explore the contribution and potential of contemporary art in support of sustainable rural development. Stay tuned and get out of the city. 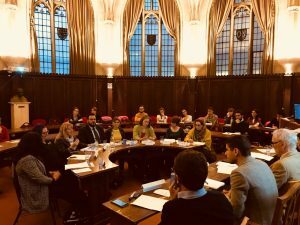 Dr. Ruth McAreavey, Senior Lecturer in Sociology at Newcastle University, writes about her recent visit to Westminster as part of a delegation from the CRE. While walking down Milbank with colleagues from CRE in December, it really felt that we were at the heart of the action. Westminster was buzzing, demonstrators were out in full force, space on College Green was at a premium as the media pitched their broadcasting tents. This happened to be the first day of Teresa May’s 5-day Brexit debate extravaganza to allow MPs to debate the ins and outs of her deal. It was also the day that Lord Cameron was hosting academics from across the UK to discuss Brexit. Jeremy Phillipson, Guy Garrod, Mark Shucksmith, Fran Rowe and I were part of that delegation, representing the CRE. 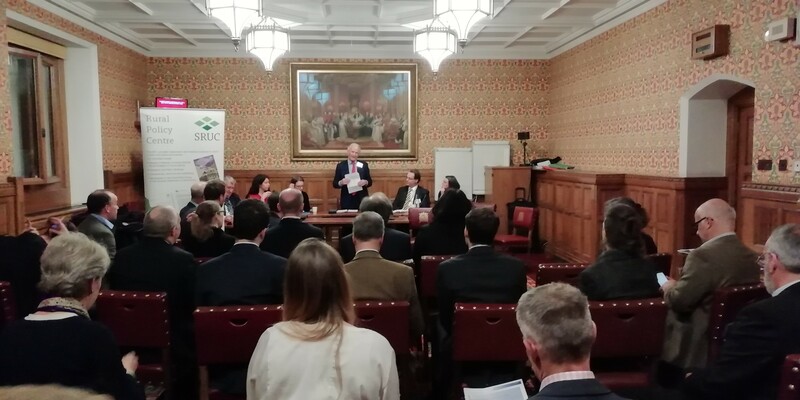 We had been invited to help present the key findings from four papers published by CRE that discuss the rural policy implications of Brexit for the four corners of the UK – Northern Ireland, Scotland, England and Wales. Before we were allowed to do so, we first had to navigate Westminster’s rather chaotic security system, which felt like something out of a Mr Bean movie rather than a genuinely effective measure to prevent acts of terror. Indeed, it was reminiscent of security at Marks and Spencer’s in Royal Avenue, Belfast, during the 1980s. Our detention in a rather small and stuffy waiting area gave my colleagues just enough time to raise my anxiety levels, stoking the fear that someone might ask me to explain the Irish backstop (which, thankfully, I didn’t have to do)! We eventually made it into the elegant committee room, with time for a bit of small talk before we got going. Notable from the outset are the different politics: Scotland and Northern Ireland voted to remain in the European Union, while England and Wales voted to leave, with geographic pockets of leave/remain existing across the UK. As well as important political divergences, there are significant geographic differences between and within the four nations. This is especially the case for England and Scotland. The fragile upland communities of Scotland are remote and much less connected than the borders of that country. Meanwhile, according to the OECD, England is not remote, as the countryside has ready access to urban populations. Similarly, Northern Ireland has no remote rural categories. Anyone familiar with its geography will know that it’s easy to drive across the region in a matter of hours. Not only do the four nations diverge on politics and geography, each nation has a number of unique Brexit-related concerns. Devolution is a particular issue for Wales given the areas of retained UK government powers that have direct impact on rural Wales, such as immigration. This has implications beyond agriculture, affecting food processing, manufacturing and health and social care. 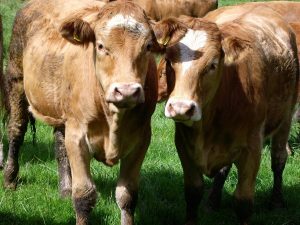 In Scotland, within the food and drink industry there are very real concerns that the specialised export markets, including for Scotch beef, farmed Scottish salmon, whisky and other fish, will be overlooked in trade negotiations that are likely to focus on larger sectors such as financial services or car manufacturing. Meanwhile, in Northern Ireland, the ‘Border Problem’ probably needs little elaboration. It has been the major blockage for the progression of May’s Brexit negotiations. 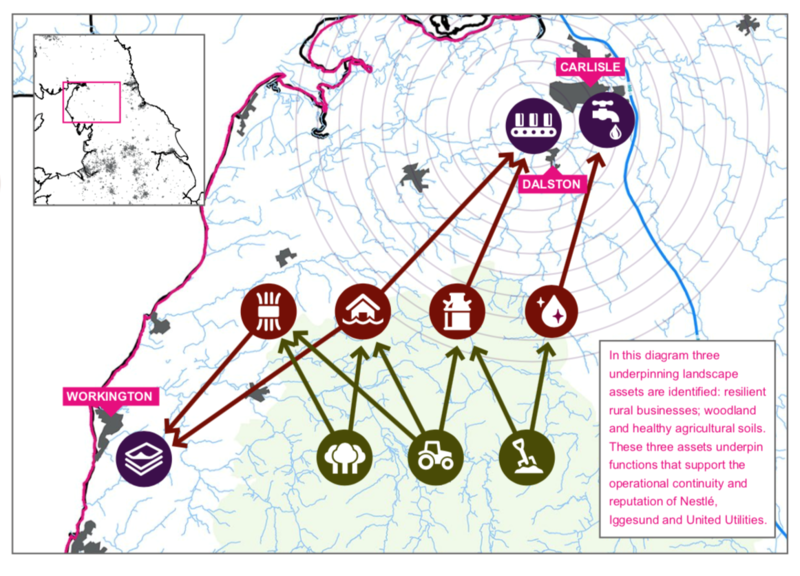 Spanning 300 miles and encompassing 275 border crossings, the border is quite porous, and it lies at the heart of complex food supply chains, raising serious challenges for managing exports post-Brexit. Rural planning varies across the UK. For example, the bounded nature of the English village has given the English countryside its idyllic character, but it has also led to challenges of rural housing, as locals often cannot afford to live in the places where they grew up. Rural communities themselves have changed a lot since the UK joined the EU in 1973. They continue to change, representing diverse traditional and cosmopolitan interests, all of which need to be carefully considered within future rural policies. Investment in sustainable infrastructure is essential to achieve rural economic growth in all nations through the mechanisms specific to each jurisdiction. For example, empowering and enabling English Local Enterprise Partnerships will be an important part of that process. Generally, the value of rural economies is often not fully understood, and the considerable public goods they produce are regularly overlooked. Going forward, and in the absence of the Common Agricultural Policy, it will be increasingly important to recognise these public goods to ensure their continued creation in the longer term. The question of how to govern rural areas most effectively is shared across the four countries. While the context for doing this differs in the different jurisdictions, questions remain: Is a targeted rural policy desirable and/or effective? Can a single policy serve both urban and rural areas? Connected to this is the issue of funding. Both Northern Ireland and Wales have been net recipients of EU funding, but this level of funding is not guaranteed in the future. Who might champion rural needs in each of the four countries? Should funding be ring-fenced? Is there a role for rural proofing? These and many other themes were picked up in the course of a lively Q&A session, during which it was noted that policymaking occurs in silos, even after decades of this recognised weakness. Someone provocatively asked ‘What’s the point of market towns?’ The intent of course was to stimulate debate rather than write off market towns outright. Many seemed to share the viewpoint that they have an important role, connecting both with their rural hinterland and with urban centres. And that was the end of the formal proceedings, which were followed by some light refreshments and further chat. Walking out of the House of Lords, we took a detour through the Commons, extending our walk through the splendour of the buildings, marvelling at their wealth and sophistication. I couldn’t help but wonder about the juxtaposition of that grandeur against the shabbiness of the democracy that led to the Brexit vote. The United Nations and networking are an unlikely pairing for a CRE blog entry, but my recent meeting with Professor Alston from the United Nations came about because of network contacts I had made earlier. Post-graduate research can be a lonely business and students can feel that others are not especially interested in their work. This is clearly a case of faulty thinking but can be seriously demotivating and demoralising, and one of my strategies for managing it has been to develop networks with others working on related issues. On one of my frequent internet trawls to find these people (who must surely be out there? ), I came across Lydia Medland , a PhD student at Bristol University whose research is about seasonal agricultural workers in Morocco and Spain. The obvious similarities between our research interests means we can commiserate about the research obstacles and challenges we have in common and constructively debate what we’re doing and what we think we’ve found. But to return to the United Nations bit of this blog’s title, Lydia was instrumental in my invitation to present evidence about rural poverty to Professor Philip Alston, the United Nations’ Special Rapporteur (SR) on extreme poverty and human rights. Professor Alston carried out a fact-finding visit to the UK in November 2018 to investigate government policy and actions around UK poverty and to determine whether the government is fulfilling its international human rights law obligations. 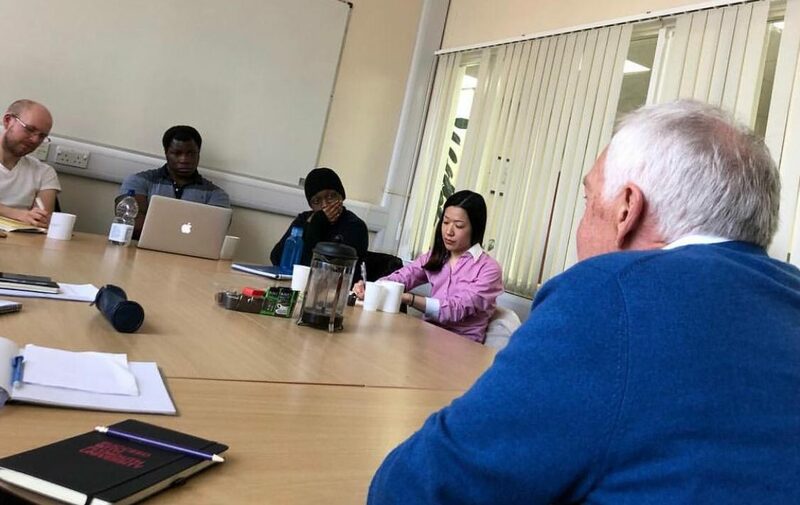 Lydia’s local network includes Dr Tomaso Ferrando , a lecturer at the Bristol Law School, who was tasked with hosting one of many sessions held across the UK for various individuals, communities and institutions to present evidence to Professor Alston. 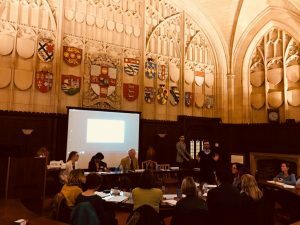 Dr Ferrando wanted someone working with UK farmworkers to contribute to the session to be held at the Bristol Law School, which was specifically about rural poverty, and this led to me being invited. Initially I wasn’t sure I could make a valid contribution. My research participants are not representative of most rural residents in poverty, because they are highly transient. However, I was assured that the complexities of rural poverty needed to be illustrated, and that the EU nationalities of my research participants would highlight the additional spanner in the works that Brexit might bring. In addition, the SR had by this stage identified thematic areas of interest including Brexit, austerity and digitalization as well as rural poverty more generally, making my own research seem rather more relevant. Often have extremely limited access to shops, healthcare and public services. Farms’ rural locations can make mobile phone reception and internet access unreliable, so regular contact with friends and family at home, arranging homeward travel, looking for other work and transferring money becomes difficult. Prefer farms where they are known as an individual by their employer. This increased the likelihood of them being ‘looked after’ which helps reduce the sense of precarity inherent in seasonal farmwork. Sometimes work whilst ill or in pain. Their commitment to sending money back to their families at home discourages them from spending money on prescriptions and dental care whilst in the UK, or from taking time off work to seek healthcare. Prefer farms where the practicalities of their lives are considered, including having the use of a minibus which means workers can socialise off the farm, shop, attend church and access healthcare autonomously. Sometimes have inadequate bathroom, kitchen and sleeping facilities. This is often related to cost savings on a farm being prioritized over workers’ comfort and wellbeing. Feel their wellbeing is compromised when their personal identity becomes obscured by their economic value. This makes them less likely to return to that farm to work. 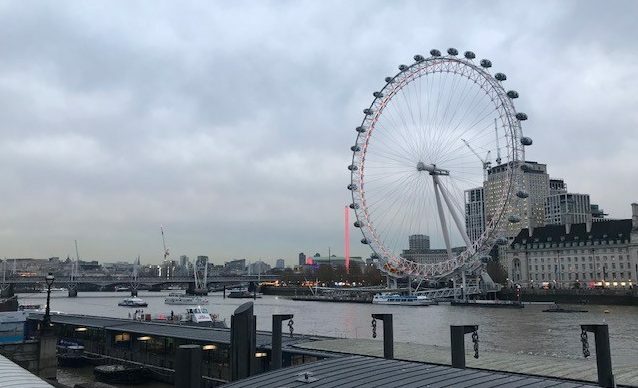 In summary, being given the chance to contribute to the United Nations inquiry into poverty in the UK arose from the willingness of people to connect with others in the research community. Contributing to this event was a valuable and enlightening experience in itself, but one which also served as a reminder that poverty is not simply about lack of money, and that poverty in rural areas can be especially challenging. My visit to Bristol also provided an opportunity to meet with and make further connections with new contacts who have expertise relating to my own research interests. Find out more about Professor Alston’s inquiry, including a very enlightening video clip, here. Dr Ferrando’s work is concerned with the links between food and law, especially around international trade, investment and rights to food. Malcolm Green works with Newcastle University students as a storyteller, and for the last few years has been attending the New Networks For Nature Gatherings on behalf of the CRE. Here he describes the most recent Gathering, held 15th – 17th November. This November was the 10th anniversary for the New Networks for Nature Gathering, held at the Stamford Arts Centre. The event was a hubbub of environmental artists, scientists, writers, musicians, and politicians sharing their disparate responses to nature, all wondering at one level or another how to approach the calamity of the rapid loss of British wildlife that has happened over the past 50 years. This loss is something Michael McCarthy calls ‘the great thinning’. Creatures common a generation ago are now in danger of disappearing from these lands, including the curlew, the turtledove, the hedgehog and the seabirds of international importance on the British coastline. Euan Dunn, head of marine science for the RSPB, talked about the challenges facing seabird populations. 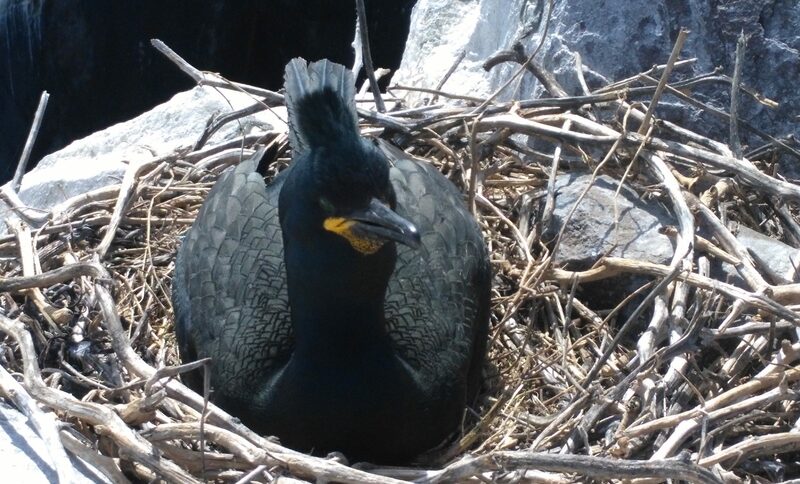 Food stock decline brought on by climate change is thought to be the main factor in poor seabird breeding success, but this is exacerbated by over-exploitation of the seas. He outlined measures that may be taken to alleviate the problem, including controlling the excesses of the Danish sand eel fishery, which removes huge quantities of the birds’ main food source, and extending the marine protection area around the east coast of Britain to Bempton cliffs in Yorkshire. Adam Nicholson, author of the brilliant ‘Seabirds Cry’, talked about the need to see these birds afresh, in light of the extraordinary information gained from recent work in radio tagging. One kittiwake was shown to have gained a knowledge of the oceans far beyond what one might have expected in its thousand-mile search to find food for its offspring. A quite humbling and breath-taking feat. A core theme of the gathering was the question: ‘what is nature, and what is it value when pitted against economic growth?’ This theme was raised by Mark Cocker, when talking about his book, ‘Our Place’. He asked the question, ‘how is it that a nation of nature lovers, with huge membership of wildlife organisations, allowed itself to preside over this catastrophic collapse in biodiversity?’ A part of the answer is that our consumer-oriented culture has inveigled itself into everything. Nature, instead of being a part of who we are, has been objectified. This has inevitably affected the big nature conservation organisations (exemplified by the RSPB’s new logo, ‘Giving Nature a Home’). These organisations compete with one another for funding and for membership, and thus find it a challenge to speak with one voice. They also fear that negative stories will not be popular with their members, so tend to shy away from telling the more difficult truths. Lawrence Rose, who worked for the RSPB himself, said that they expect loss and are continually lowering expectations of their members. As such, they are complicit with the politicians. Labour peer Baroness Barbara Young lamented the lack of any holistic thinking in government. She also highlighted the need to challenge the idea of ‘growth at any cost’, and the need for a radical new approach to children’s education – one that puts our place in the environment at its heart. Following on from this, Green Party MP Caroline Lucas talked about the lifestyle changes that are needed to enable a sustainable environment, and how we should think of these as gains as opposed to losses: gains in peace, clean air, diverse wildlife, and mental and physical health, rather than a loss of consumer goods. For example, research has shown that 13 ½ mins a day spent amongst trees reduces by half the risk of depression. She also highlighted the fact that despite the obvious need for government leadership, the clout of environmental protection bodies within government have been eroded year on year, illustrated by the fact that 400 staff have been taken from Natural England to deal with Brexit. Three visual artists – Kate Foster, Rose Ferraby and Tom Baskeyfield – presented their work on soil, peat and stone, where there was an impetus to speak from the place of the material, rather than that of the artist. Mark Cocker and Miriam Darlington, representing New Nature writing, talked of the current wave of enthusiasm for the genre, which marked itself out by stitching together ecology, cultural and personal experience. Poets Jos Smith, Isabel Galleymore, Ben Smith and Luke Thompson talked about poetry and environmental activism, and explored topics including: working with scientists, the predicament of eels, and the need for vulnerability in our present climate. There was also much discussion about engaging with nature through new technologies, in particular, the use of social media to reach out, and the various apps which help you know what you are encountering in the field. The gathering culminated with the amazing saxophone music of Paul Winter, responding to wild creatures. A note of significance: the Network’s ‘old guard’- Mark Cocker, John Fanshawe, Jeremy Mynott and Tim Birkhead, who set up New Networks for Nature 10 years ago – are stepping aside. Mark has already stepped down, Jeremy announced he was leaving this year, Tim will go next year and John the year after. They are being replaced by a new younger generation, who are increasingly taking on the role of organising future gatherings. This is a testimony to the sustainability of the concept and to the solid ground put in place by its founders. In parallel to this, future gatherings will move to different venues in the country, thereby increasing the Network’s reach and influence. In 2019, the gathering will take place in York. A Bluffer’s Guide to Brexit and the Rural Economy: Can You Tell Your Customs Union from a Free Trade Area? Christopher Ritson is an Emeritus Professor at the Centre for Rural Economy. 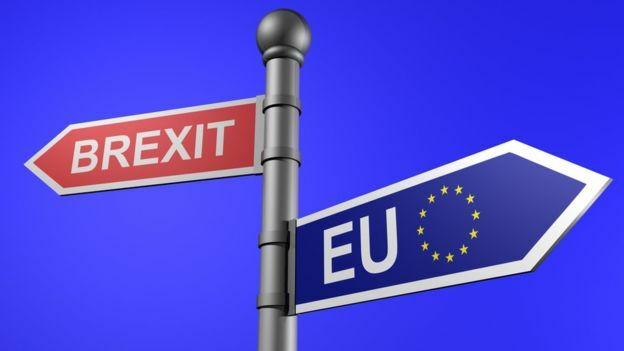 This blog was developed from a briefing paper he wrote for the Mid-Northumberland University of the Third Age Brexit Discussion Group. Go back three years and I doubt whether many of us had heard the term “Customs Union”, never mind knew what one was. I did, because on my first visit to Cyprus to advise the Government there on their agricultural policy relative to trade with the (then) EEC, I was confronted with the statement “We want to establish a Customs Union with the EEC”; and the question “Does this mean we will have to adopt the Common Agricultural Policy?” I was vaguely aware that somewhere in the Treaty of Rome (Article 9 as it happens) it says “The Community shall be based upon a Customs Union” and that (Article 38) “The Community shall extent to agriculture and trade in agricultural products”, but I had to find out what that really meant. is my own, although probably others have done likewise. The reason is that each “level” absorbs those that precede it. Here goes. An agreement between two countries, or one country and a bloc of countries, which regulates trade between them. This would usually involve the reduction or elimination of tariffs (taxes) and quotas (quantitative restrictions) on imports from each other on a list of products specified in the Agreement. Sometimes there will be tariff quotas – that is, the tariff reduction will apply only up to a specified quantity, often based on historic trade flows. For some agricultural products there are also tariff calendars, where the tariff reduction applies only during the out of season period for domestic production (e.g. EU citrus fruit). What it says on the tin. The member states of the Area eliminate tariffs and quotas on trade between them. The best known is EFTA- the European Free Trade Association, known originally as the “Outer Seven” (as the countries involved, including the UK, more or less surrounded the six original Common Market countries). Another example is NAFTA-the North American Free Trade Agreement, which Trump has recently had his knife into. In a Customs Union, the member states agree, in addition to free trade between them, to impose the same tariff on imports from outside the Union (called in the EU the CET– the Common External Tariff, or in official EU documents the CCT – the Common Customs Tariff). This means that once a product has been imported from a non-member country, it can move about within the Union without restriction – known as Free Circulation. In contrast, in a Free Trade Area, individual member states have their own arrangements for treatment of imports from outside the Area. In that case it is still necessary to monitor trade within the Area; otherwise if country A has a zero import tariff on apples, and country B imposes a tariff of 50%, then all imports of apples destined for country B would flow first through country A. This can become complicated; Rules of Origin have to be set, whereby for processed products there will be a maximum proportion of the product (say 10%) that can originate from outside the Union. With the apples, country B will allow free trade for apples grown in country A, but impose a 50% tariff on any apples originally imported by country A from a non-member country. This distinction between a Customs Union and a Free Trade Area is at the heart of the problem of the Irish Border. If the UK continues to belong to the EU Customs Union, then it will continue to impose the CET (or anyway a tariff which is the same as the CET) on imports from non-EU member states. So Australian apples can continue to be imported into the UK and then move freely into the EU. However, in this hypothetical example, if the UK “does a deal” with Australia which includes free trade in apples, then Australian apples would be subject to an import tariff if they move across the Irish Border. The Single Market seeks to extend the free movement of goods to encompass free movement of Capital, Services, and Labour, and to eliminate member state regulations, which, either by accident or design, discriminate against imports (known as non-tariff barriers). The intention is to create equal conditions of competition – “a level playing field.” The main method of avoiding discrimination has been that member states are obliged to recognise goods which can be legally marketed in another member state, unless they can show some good reason (e.g. consumer safety) for not doing so. This followed a famous ruling by the European Court of Justice, known as the Cassis de Dijon case (finding against Germany that then had a law which said that fruit spirits must have a minimum alcohol content of 25%- all German made fruit spirits of course did have, but Cassis was around 15-20%). The alternative is harmonisation of product standards – which originally was mainly applied in the case of health and safety (e.g. food labelling law), but now covers approximately 50% of products traded within the Single Market. Another important feature of the Single Market is the control of State Aids aimed at advantaging domestic producers. Where state aids have been widespread and agreed to be required, then a Common Policy is introduced – e.g. the Common Agricultural Policy. From its onset, the CAP has been based on three Principles consistent with a Common Market: Free intra-Community trade in agricultural products, Common Financial Responsibility, and “Community Preference” –member states give preference to agricultural products produced within the Common Market. Until quite recently, something like three-quarters of the entire EU budget was expenditure under the CAP, although it is now closer to 40%. The WTO is the successor organisation to the GATT (The General Agreement on Tariffs and Trade) one of the many international organisations established after 1945. Its objective is to reduce tariffs and other restrictions on international trade. It works on the basis of “Rounds” in which the participating countries, and county blocs, negotiate down tariffs on a reciprocal basis. A problem that would confront the UK operating under “WTO Rules” is what is known as the Most Favoured Nation Clause. This says that a country which offers a lower or zero import tariff for a product to one country, must do so for all WTO participating countries, unless the reduced tariff is part of a Trade Agreement. Thus the logical thing for the UK to do without a Brexit Agreement, would be to adopt the same import controls as under the CET, which it could then offer reductions on in Trade Agreements (which are, however, notoriously lengthy to negotiate). Here, responsibility for macro-economic policy (e.g. money supply, interest rates, exchange rates) passes from member state Governments to the supra-national authority. The most important element in this is probably the adoption of a common currency. At some point the degree of control exercised by the central authority (and its elected parliament) is such that the “Union” of member states begins to be thought of as a country, – the United States of – – -, or the United Kingdom of – – -. This can of course subsequently go backwards (Devolution). Dy Davison on A Bluffer’s Guide to Brexit and the Rural Economy: Can You Tell Your Customs Union from a Free Trade Area? Christopher Ritson on A Bluffer’s Guide to Brexit and the Rural Economy: Can You Tell Your Customs Union from a Free Trade Area? David Harvey on A Bluffer’s Guide to Brexit and the Rural Economy: Can You Tell Your Customs Union from a Free Trade Area? 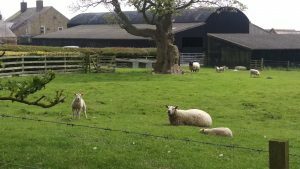 UK Smallholdings on Can rural businesses keep up with current developments….or even take over?